Signed "CHAIM/GROSS" in the clay at l.l. edge. 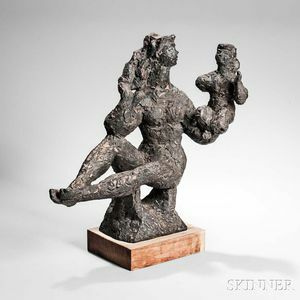 Patinated terra-cotta or similar, height 16 in. (40.5 cm), on a wood plinth.